This content was produced by the Advertising Department of WVTM. As Jefferson County celebrates its bicentennial, it welcomes a new era of law enforcement—under the leadership of Sheriff Mark Pettway. 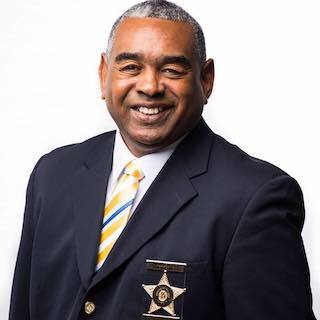 As the county’s first African American sheriff, Pettway made history when voters elected him last November. Now he hopes to lead Jefferson County to a safer future. Pettway was sworn in on January 11, 2019. He’s already hard at work to fulfill his campaign promises. He’s assembled them into a program called One Community. “We want to bring everyone together to have a dialog on how to stop the violence,” Pettway says. Pettway’s vision for Jefferson County Sheriff’s Department centers on schools, safety, diversity, and recidivism. Here are his plans to build One Community. 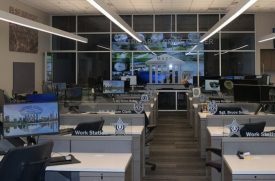 Build a service-oriented police force. Pettway wants law enforcement visible in, and accessible to, the public. He encourages officers to get out of the car and talk to people. The more citizens and police engage with each other, the more they can help each other. When the public trusts police officers, they’re more likely to report suspicious activity or describe what they saw as a witness. “We want people to see us as approachable,” says Agee. As part of its community-policing plan, Jefferson County patrol deputies now wear body cameras. Body cameras improve safety, help solve crime, and encourage good behavior by both police officers and the public. According to government statistics, between one in four and one in three U.S. students have been bullied at school. The effects of bullying may last into adulthood. Pettway believes education is key to prevent bullying. “If we teach kids to respect and treat each other fairly, it’s more proactive than helping children who are being bullied,” Pettway says. To keep schools safe from violent acts, Pettway plans to appoint a resource officer on every elementary and high school campus. School resource officers are deputies trained in tactical situational awareness who are prepared to protect kids from school violence. According to the U.S. Bureau of Justice Statistics, about 68% of released prisoners were arrested within three years. Pettway hopes to break the pattern by giving former inmates a better chance at success. The people of Jefferson County showed by their vote that they wanted change and embraced diversity. While the sheriff’s department has increased diversity over the past few decades—it had to under a consent decree with the U.S. Department of Justice, entered into in 1982—it can do better. Agee recalled a situation where a translator helped foster communication between the sheriff’s department and a Spanish-speaking witness. The translator helped the witness feel more comfortable, and his input helped solve a crime. “Our Hispanic population is growing and we want them to be able to talk to us,” Agee says. Pettway, a former Property Crimes Unit sergeant, has served in local law enforcement since 1991. The life-long Jefferson County resident has investigated robberies and attempted murders, investigated cases of white-collar fraud and money laundering, and captured a handgun-carrying trespasser at Minor High School.